I’ve always loved a good two piece but I especially love a price like this. At only $30 for BOTH pieces, this is a great go to from Forever 21. This cute ensemble also comes in white but I thought I’d switch up my mostly white, black and grey uniform with this amazing green. Pair this with any cute pair of sandals like these beauties from Steve Madden. Yeah, girl! I love this look, your style, everything! Welcome to the blogging world, I’m so excited to see more! i love your style Lauren… and this dress is so cute…. Ugh i love this color on you! I’m such a fan! You’re so beautiful inside and out. I love you! Awesome outfit, thanks for the heads up :)! Been such a fan of yours since I saw you on the Bachelor and admired the grace and humility that radiated and seams to continue to do so still today. Many congratulations to you and Ben and so PUMPED you have a blog to follow now! Love this look! The green is so cute, I think we can all attest to needing to switch up the constant black, white, and greys in our wardrobe!! Your style is impeccable and everything I wish mine was! it looks amazing on you !! Hi Lauren! What size in both pieces did you get?? Loving the blog great fashion trends and useful information for beauty!!!!!! you style these pieces so well that you would never know they were from Forever! So chic! Love love love this two piece!! Love it so much I actually bought it last night 🙂 Congrats on launching your blog – it’s amazing! This outfit is so adorable! Thanks for sharing. You look so pretty in that color. 🙂 Congrats on your new blog! Super cute Lauren! So happy to see your blog up. You always had such great style on the show. Keep including bargain-finds like these! Loved your blog, Lauren. I especially liked the advice about the eyebrows! I think we all forget eyebrows can make you look younger! At 48…I’m always looking for ideas for a more youthful appearance. Keep up the good work! Stay true to yourself…you are an inspiration to so many women! Love that you started a blog. I really loved your fashion on the Bachelor! For this two piece, what size are you wearing? I would love to take this on my upcoming trip to Moorea! You look so gorgeous and I just love this look! I love that you started a blog (it looks amazing!) 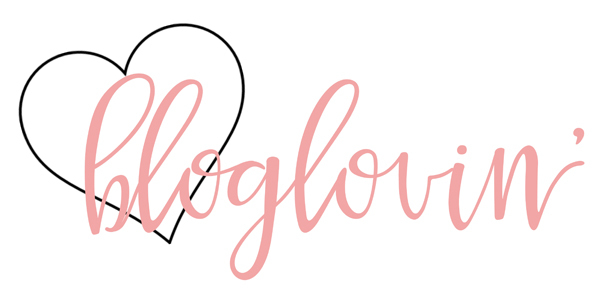 and welcome to the blogging community:). I have loved you in sparkling light blue ever since you stepped out of the limo, but this color of emerald is smashingly gorgeous on you! I can’t believe how stupid and fake this is. Really? So lame. One big commercial! These comments must be from the PR dept. Message to whoever came up with this blog- smart to tap into the interest of the fans of the show BUT women would appreciate a real blog truly written by the woman it’s about and honesty as in no photoshopped bodies and plugs for products. This is one big advertisement and it feels fake and uninteresting. Try creating something of substance which real women can relate to and you’ll see how refreshing and successful it would be. I absolutely an in love with this site. I love your style, Beauty tips, etc.. I cant wait to see what is yet to come!